This Range Rover isn’t autonomous, but it is off-roading. Today, Land Rover declared that it’s developing “off-road self-driving SUVs” to which I snorted and prepared a squinty-eyed shakey-head “why?” GIF. But after thinking about it for a few more seconds, this actually makes a lot of sense. The second half 0f the last sentence is where the meat is—car sensors that can actually cut through inclement weather. Nobody will ever need or want a Range Rover to climb up Moab slick rock without anybody behind the wheel, but everybody can benefit from lane keeping and parking sensors that work in rain and snow. I don’t want to get too deep into autonomous anything because I firmly believe we’re years away from truly viable “self-driving” cars, but anyone who’s been in an expensive vehicle made in the last few years will know that the things are bristling with proximity sensors and it doesn’t take a lot of water or dirt to screw them up. The BMW M550i I drove a few weeks ago was as befuddled by rain as everyone else in LA traffic and the infotainment screen became a cascade of error messages. And if you’ve ever hoped to use your backup camera after off-road driving, you already know it won’t work with mud splattered across its lens. If Land Rover can figure out how to overcome the confusion that car sensors like those seem to experience in bad weather, that would be a useful upgrade from the current state of driver aid tech even if it never pans out to some kind of off-road autopilot. 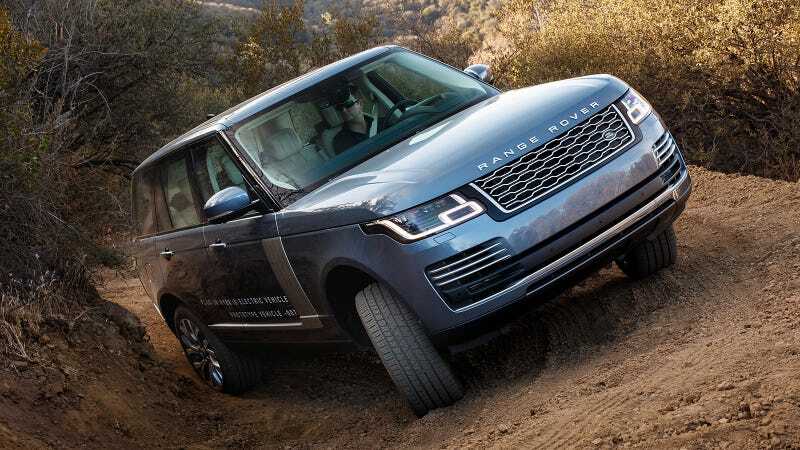 I’m sure it will be neat to watch a new Discovery climb around a manicured dirt mound without a driver, but I’m a lot more excited to see and hear about simple proximity alerts that actually work in the rain and I think that’s what Land Rover is actually going for here.